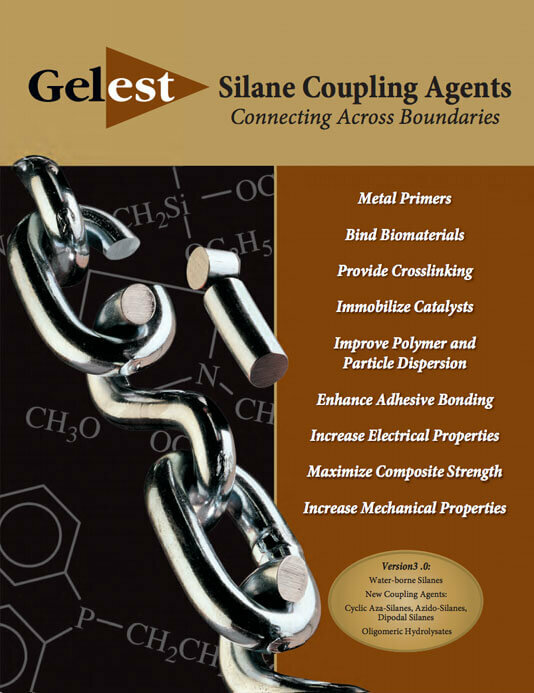 Gelest, Inc.’s Silanes, Silicones and Metal-Organics are key components in a variety of nanotechnologies ranging from materials which owe their fundamental characteristics due to nanoscale fabrication, such as quantum dots (see separate application note), to coating and particulate materials that fabricate structures directly on the nanoscale level which relate to their bulk behavior. Whether it is the precursor materials for making quantum dots, of for key components of solar cell construction (e.g. 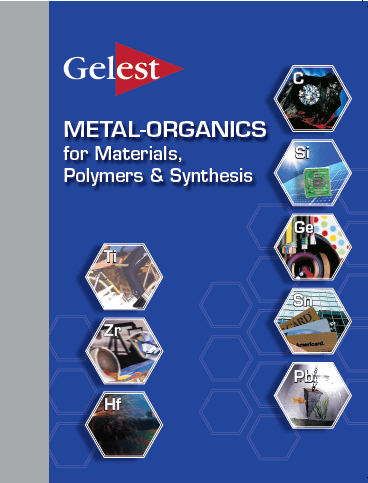 the lead materials used in perovskite heterojunction solar cell construction), the silanization of carbon nanotubes or for using sol-gel technology to make thin interfaces on key device components, Gelest offers all such materials amongst its product lines. Should you require materials on a commercial basis that do not appear in any of our product listings, Gelest can customize the material exclusively at any scale. Probably the most important advance in the last half of the 20th century is the advent of silicon electronics. The microchip, with its revolutionary applications in computing, communications technologies, consumer electronics and medicine, were all enabled by the development of silicon technology. 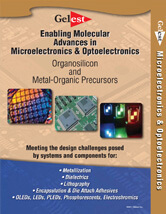 Nowadays, complementary metal oxide semiconductors (CMOS) remain one of the key methods for making microchips such as computer microprocessors. 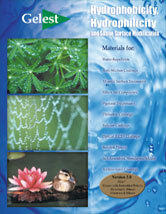 As nanotechnology applications have emerged this millennium, so have silicon compounds and materials emerged in new applications, whether they be in fields such as nanoelectronics, or in molecular recognition, in nanosensors, in self healing and self assembling structures, in energy capture storage and transformation devices, in optical applications, in new separations science, in new medicines, in catalysis, in encapsulated nanostructures, in hybrid materials and in nanocomposites. 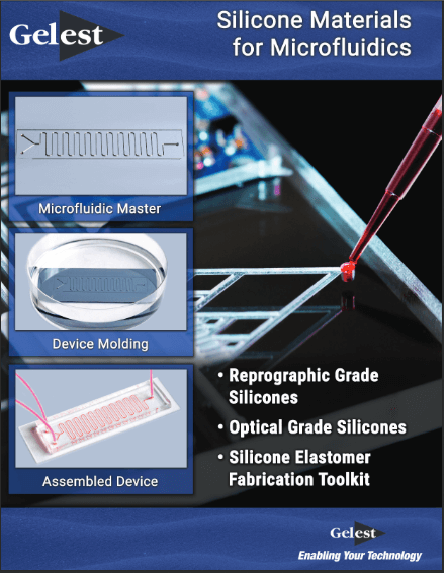 A quick glance in several of the application notes on the Gelest website will reveal that silicon compounds and materials are finding their way readily into each of the emerging application areas of nanotechnology. A summary of some of these areas appears below, together with some specific new materials, like the cyclic azasilanes, useful in surface treatments, particularly with respect to the very fast, water-free application of monolayer coverage onto nanoparticles. 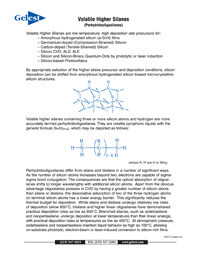 Similarly volatile silanes (refer to brochure on our website) containing Si-H groups have proved useful in monolayers that adhere to metals such as titanium, zirconium, hafnium, gold, silver, etc., and are emerging as a class of materials useful in the construction of the next generation of computer processors. The ability to simultaneously control the size, shape, composition, and activity of nanomaterials continues to present a formidable challenge. The synthesis of nanomaterials and the assembly of nanostructures into ordered surface topographies renders such new materials both functional and operational; the two crucial aspects of successful nanotechnology. 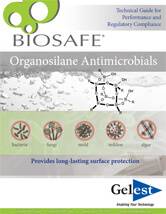 Gelest offers its new silanes that are very volatile and reactive, so readily react to nanoparticles without causing agglomeration. These new cyclic azasilanes can be reacted with a variety of hydroxyl laden nanoparticles through a ring opening reaction that is thermodynamically driven without the formation of volatile by-products. 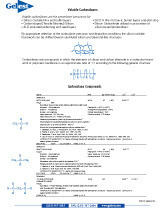 Cyclic Azasilanes offer a higher level of monolayer deposition compared to traditional organic silane and metal organic chemistries.